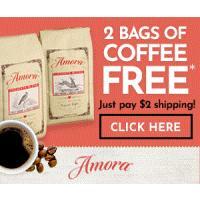 To introduce you to Amora ultra-premium coffee. We invite you to accept one bag for free. Just pay $1 shipping and handling.